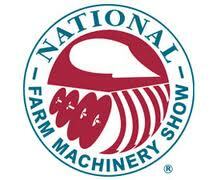 48th Annual National Farm Machinery Show in Louisville | Joe Hayden Real Estate Team - Your Louisville Real Estate Experts! The time of year has rolled around for the ever-popular National Farm Machinery Show, which is by no means just about tractors. The Kentucky Exposition Center at 937 Phillips Lane in Louisville will be hosting the annual show starting February 13th through February 16th. Event admission is $8 with the hours of operation from 9 a.m. until 6 p.m. daily. However, the Championship Tractor Pull is a special, reserved seating event with prices ranging from $40 to $45 at the Freedom Hall Ticket Office and all Ticketmaster locations, including facility fees. Farm enthusiasts travel from all over the state and from across the country to attend this renowned event with an estimated attendance of over 300,000 fans. Of course, visitors can expect to find the latest and greatest when it comes to farm equipment, but there will also be tons of entertainment and interesting displays to educate modern farmers. There will be over 1.2 million square feet of exhibit space which will house more than 850 agricultural displays, with some offering educational demonstrations. The machines seen at the Kentucky Exposition Center February 13th through 16th will dictate how futures seeds are sewn across the United States, so don’t miss the 48th Annual National Farm Machinery Show.